The prehistoric rock art of Bhimbekta cave shelters-on the outskirts of Bhopal-represnts one of the largest collections and the earliest evidence of human artistic expression. 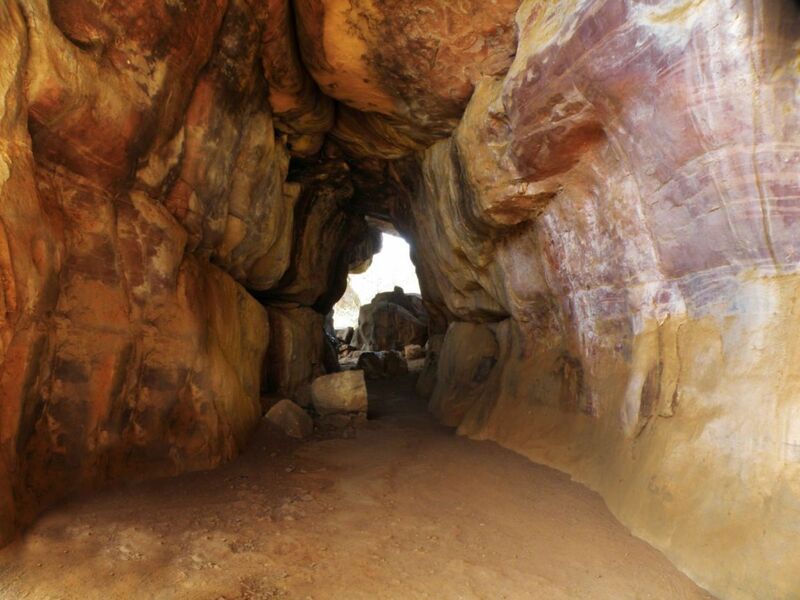 The Bhimbetka cave settlements date back to over 1,00,000 years while the paintings belong to the Mesolithic period(30,000 BC to 9,500 BC). Spread over an area of 1,893 hectares,the site with 5 clusteres of cave shelters,was declared a World Heritage Site by Unesco in 2003. They bear a significant resemblance to similar rock art sites such as Kakadu Natioanl Park in Austraila,bushmen's settlements in Kalahari Desert,and the Upper Paleolithic Lascaux Cave paintings site in France.Besides Bhimbekta,rock paintings have also been found around Bhopal in Manua Bhan Ki Tekri, Lal Ghati,Shyamla Hills,Bhadbadha and Kerwa Dam. Situated about 21 Km. 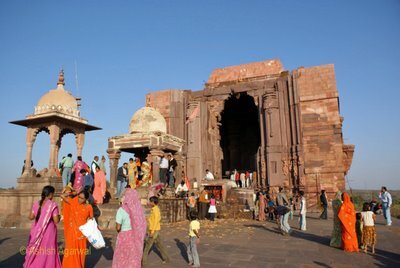 from Bhopal,The Temple of Bhojpur has many myths associated with it. Legend has it that the temple was constructed by Pandavas during their exile.Archoaeologists have come up with several theories to explain the incomplete construction. Even in its incomplete state,the temple is magnificent. This ode to Lord Shiva was probably built by Raja Bhoj in the 11th century.It stands on a platform 106 feet long,77 feet wide and 17 feet high.A massive Shivling fashioned from a single block of polished stone is the main attraction at this ornate temple. The Ling,towering at 22 feet,is placed on a massive stone pedestal and is the tallest in the world. Numerous architectural drawings engraved on the quarry's rock faces enabled the archeologicl survey of India(ASI) to restore the Ling to its original glory. 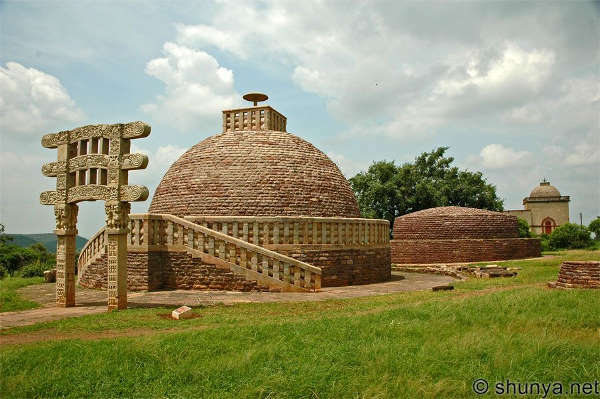 The 'Great Stupa' at Sanchi on the outskirts of Bhopal is the oldest stone structure in India.It was originally commissioned by Emperor Ashoka in the third century BC. Ashok Maurya(273-236 BC) was the most famous of the Buddhist rulers of India.Some years after he began his reign,around 258 BC,he converted to Buddhism.The Sanchi complex was declared a World Heritage Site bu Unesco in 1989.Buddhism was flourishing in India and other parts of Asia then.The Stupa was designed as a simple semispherical stone structure covered with bricks and over the relics og Gautham Buddha. 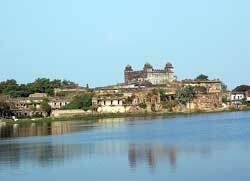 This remains one of the most stunning of 20th century buildings in Bhopal.The foundation of the building was laid in November 12,1909,by Lord and Lady Minto to commemorate their visit to Bhopal. 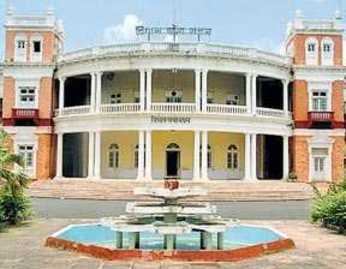 Nawab Sultan jahan Begum finished constructing the Minto Hall. In 1921.Keeping in mind the requirement for a guest house near the Raj Bhawan(then called Lal Kothi).The architecture of the building was such that it resambled the crown of the King George V. Abida Sultaan,once Bhopal's heirapparent,discovered and refined the new game of rollerskates hockey on the floors of the Minto Hall.In 1946 Minto Hall became home to Hamidia College,before the institution shifted to a new location.After the creation of Madhya Pradesh, The Vidhan Sabha of the new state was established at Minto Hall.The Vidhan Sabha then moved to a new building 1996.